The Kaunertal glacier is known as a place for thinkers. If you are looking for wide slopes on natural snow where you can take swing turns undisturbed; if you do not like standing in long queues; if you are looking for snowboarding offers; or if you are an avid freerider and combination skier, you will be at home with this ski area. 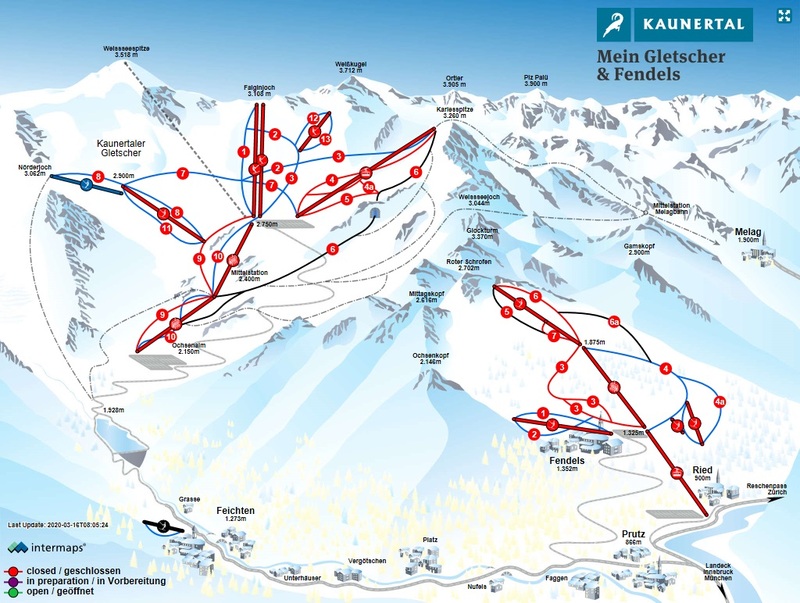 The small family ski resort in Fendels, where there is night skiing and sledding every Thursday, compliments the Kaunertal glacier offer. All 54 km of slopes with one lift ticket at a fair price.